I love this owl punch from Stampin' Up. I was commissioned to make a baby boy card for a friend (that's not scribble on the name plate, I just blanked it out a bit). 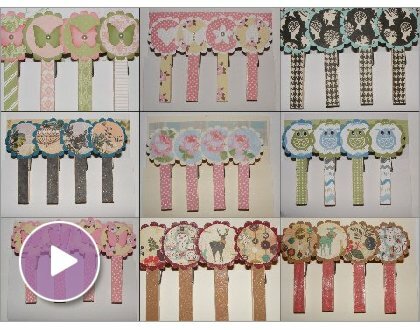 The lace border punch is also from Stampin Up, ooh and the pearls! I can't stop using them! Making bits and bobs to sell at a couple of Christmas events coming up soon! Just had to share these pics of my cutie girl with lots of felt butterfly clips in her hair! Can't believe she stayed still long enough for me to get them in AND take a picture! they're useful AND they're pretty! 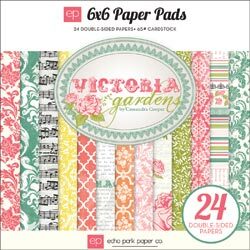 I couldn't resist this very pretty paper pad from Scrap Revolution, click on picture to take you to their website. The paper is so detailed that I only used a little bit for each card. I think I'll have made four cards out of one sheet of 6x6! Used an embossing folder on the butterfly below. Here is a little teaser of the layout I did for Scrap Revolution. ...for a friend's parents, for their anniversary. Sorry I've not been blogging much of late. Been having lots of busy days with the school holidays and doing some classes. I don't know if you remember, but a while ago I was choosen to be a guest designer for Scrap Revolution. I had a lovely package of paper, buttons, lace, chipboard letters and card stock sent to me last month. So I have also been busy working on three items that will soon be revealed on their blog. Wanted to make a birthday card for a friend, thought I'd raid my long neglected non Stampin Up stash to make something sweet and shabby for her. Paper Doily, Prima Flowers, K&Co paper, Martha Stewart Leaf and Butterfly Punch, Leone Em Fern punch, Fiskars threading water punch. Had a busy few days with the children off school. Had an "Open House" on Wednesday, where lots of children and mums came through the house to play and chat. I find that the day goes so much quicker and peaceably when my children have some friends over to play. I've been playing with more Stampin Up stuff and made a few cards, to see more click here. If you would like to know how you could boost your stash for less, turn your hobby into a career or earn a little bit extra sharing what you love, please have a look here. 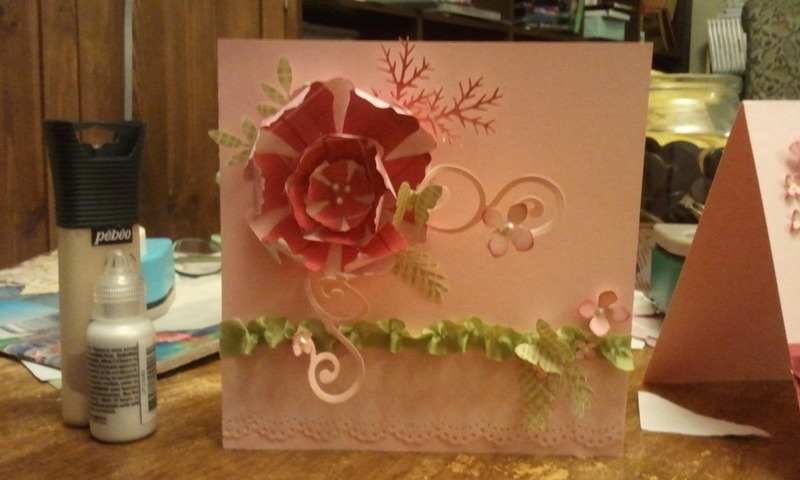 Been playing with Stampin Up products, here are some of the cards I have made recently. I am enjoying the challenge of using a slightly limited selection of products, and also creating cards that I have to be able to break down and show people how to make. Please have a look at my other blog >Artful Stampin< for more info on how I made them. My Stampin Up Starter Kit arrived! I swapped some of the recommended stamp sets for ones that I thought would be more useful for me, and also choose some different coloured ink pads. The kit is fantastic value for money even if you wanted to save money on some crafty goodies. Click here for more info on how to get it. Initial thoughts about some of the products. My first reaction to the Very Vanilla card stock was that it is to light weight for making a card base. After a discussion with my fab upline Claire, she explained that the Very Vanilla and Whisper White card was for stamping on and then sticking onto the coloured card. I have to admit the stamped images on that card looks superb. Apparently if you like to colour with Copics the colours do not bleed as they sometimes do with other card. I've been working on my new blog for about a week, and I think it's just about ready to reveal! Please take a look and let me know if there are any glitches, typo's or general grammatical errors! I'm going to be offer a one time only offer if you purchase anything from me this month, watch out on the new blog for more info! Click here to go to it! Thanks for looking. Well, it's been a busy few days in my head and home! I've been thinking of what my approach and ethos to selling Stampin Up products will be and how I will share my passion of crafting with others. Had a few late nights thinking and sorting through craft things I don't use, and trying to be strict with myself. More listings have gone up on ebay, and been showing piles of papers to anyone interested in buying. Made this card the other day, it's a special commission for someone so I can't say more than that! when some friends came round! We had a bit of a crafty session and I practised my demo skills on them! Used some of the lush seam binding ribbon from Stampin Up. Being a Stampin' Up! Demonstrator! I have just sent off my application form, after days, no weeks, actually months of thinking about it. After using some of their products and drooling over their catalogue I genuinely think that they make high quality products that appeal to all sorts of tastes in paper crafting. Please watch this space as I start this new adventure . I endeavour to be very honest about the process, and how I balance family life with running a business.